Whatever your moving needs, Meathead Movers will help you feel at home with dedicated and friendly local Pittsburg movers. Our professionally trained student-athlete movers and our moving concierge will be with you for the entirety of your move. Welcome to Meathead Movers of Pittsburg! Whether you are moving to or from Pittsburg, our team of top-rated Pittsburg movers are here to help! Meathead Movers proudly staffs each crew with professionally trained student-athlete movers, and our moving concierge service is here to help you with every stage of your move in Pittsburg. Pittsburg is a beautiful town in northern California located where the San Joaquin and Sacramento rivers meet. Today Pittsburg is home to beautiful parks, great recreational facilities, excellent shopping and dining, and affordable housing. The city is a beautiful blend of history, with its revived historical district, and future promise with new businesses and parks being constantly added to the city. 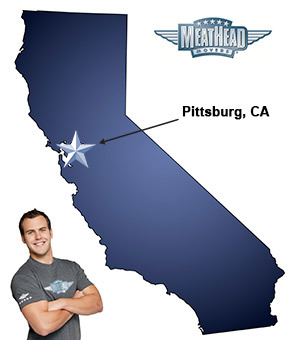 If you are considering moving to Pittsburg, Meathead Movers is here to help. Our experienced Pittsburg movers specialize in all aspects of moving, starting with packing or storage and including local and long-distance moves. We can also be contracted to conduct on-site relocations and any number of commercial moves, to or from Pittsburg, Ca. All of our Pittsburg movers are thoroughly screened and trained before their first move. With branches not just in Pittsburg, but all throughout California, we are your one-stop resource for all your moving needs, no matter where your California move takes you. In fact, you can see what your neighbors in Pittsburg have to say about us. With our 100% satisfaction guarantee, the only thing you have to lose is the stress that comes from moving! Contact Meathead Movers today for a free moving quote, and learn how we can help you on your next move! Moving to Pittsburg? Here are some helpful resources.